Looking after yourself at sea is only part of the issue. There is, after all, only so much that you can do. There needs to be real support from ashore to ensure that the steps covered above can be delivered on. So, it is vital that seafarers have a mechanism to report back on how they feel and also the lessons that can be learned, and improvements to be instigated. There needs to be a dialogue and means of sharing good practice, and for seafarers to be able to voice their concerns and also to say what does make life better at sea. 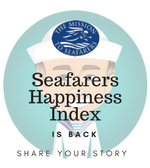 As part of this, the Mission to Seafarers has been working on the Seafarers Happiness Index and a new site www.happyatsea.org to make sure that the industry can hear the real voices of seafarers. The Seafarers Happiness Index is a survey of ten questions, which remain constant – and we ask that seafarers complete the survey during every trip to sea. Then we can calculate how happy (out of a mark of ten), that seafarers are about key aspects of life onboard. Overall average score: 6.56/10, down from 6.69/10 in the previous survey. As ever, there were a range of fascinating insights from seafarers and they spoke in positive terms about their fellow shipmates, talking in terms of friendships, professionalism, and support. There is a definite sense that camaraderie is still strong and important at sea. Isolation and loneliness, fatigue and stress were again mentioned repeatedly by respondents. While it was also felt that “boredom” is a factor at sea. Seafarers gave a sense of trips to sea as, “killing time” and of life being “dull”. Something that is perhaps at odds with the potentially dangerous nature of the job. This was not helped by a lack of access to shoreleave, and of too many seafarers feeling that even where internet access was provided, then it was often too slow, intermittent or expensive. There were repeated calls for good internet access for seafarers to be made compulsory on all ships, an argument that does not show signs of going away. There was also an observation that despite seafarer happiness, wellness and mental health coming to the fore, some felt that there needed to be someone named in the shipping company as having clear responsibility for this side of human resource management. It was noted that responsibilities for so many aspects of operations were clearly laid out, but not so the satisfaction of the crew. An interesting point, and one which perhaps merits further discussion. From an operational perspective, it appears that inspections, heavy workload, unsupportive management onboard and ashore, are negatively affecting happiness. The latest results saw criticisms aimed at managers and office workers ashore, also concerns that a high level of staff churn ashore can mean problems with relationships between ship and offices. 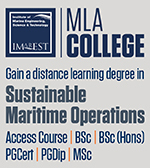 While seafarers were also concerned that a lack of experience or knowledge ashore means that seafarers are being asked to do more. They reported being asked more and more questions, and of being pushed to respond. Also, there was a sense that all too often recommendations from shipboard staff are not listened too when it comes to management systems. Paperwork remains an important and divisive issue. Seafarers reported often spending longer completing the paperwork for a task than the job itself. There were many that questioned the sense of a system which favours documentation overdoing the actual job. 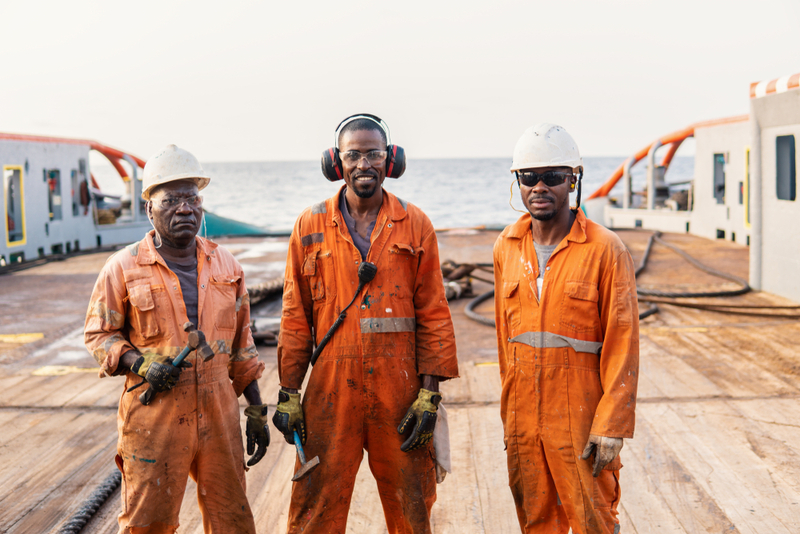 Wages were subject of much discussion – and the Seafarers Happiness Index numbers dropped this time around, perhaps reflecting the fact that a number of respondents felt that static pay levels over the past few years are cause for concern. It was noted by some that The International Transport Workers Federation (ITF) and the International Chamber of Shipping (ICS) have agreed to update the minimum monthly wage for an able seafarer by $27 over the next three years. The wages will provide an overall increase of 4.5 percent on the current rate of $614, with an increase of $4 as of July 1, 2019, followed by an increase of $7 as of January 1, 2020, and a final increase of $16 as of January 1, 2021. We will watch the figures with interest and hopefully the happiness levels will rise as wages do, however, there are concerns that these rises are not keeping step with inflation in most maritime manning supply nations. The issue of pay “discrimination” for different seafarer nationalities is causing frustration and anger, with allegations of “racism” being leveled at the industry. There were also seafarers who reported stress about their savings, and concerns that they had not been able to put enough aside for their families when they returned home. Food remains a key concern – this quarter saw criticisms of chandlers who are felt to be sending cheaper, lower quality brands to ships. There were also allegations that some owners deliberately run with very low levels of food onboard. Something which means that rationing was occurring. Exercise was discussed, and while the numbers rose a little, seafarers reportedly felt the relentless demands of operational life mean some crew find it hard to get time to exercise. There were reports of a “Diet Dilemma” – with medicals and companies requiring seafarers to maintain a certain Body Mass Index (BMI) – there was a concern their schedules and time off watch does not factor in the exercise to help them do so. The fact that seafarers often feel they do not have the time, equipment or occasionally the inclination to exercise is a concern. The Seafarers Happiness Index is your chance to drive positive change and to have your say. 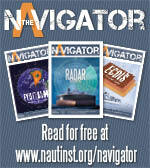 The new website www.happyatsea.org will have resources and information, and the latest reports from seafarers. The Mission to Seafarers needs your help to make all this work – the Seafarers Happiness Index can only communicate what you at sea share, and so now is your chance to have your say and to make a difference. The survey can be completed at https://www.happyatsea.org/survey and we urge you to do so. The Mission has made changes to the way the survey is recorded, so now you can use the same computer for each seafarer, and even the computer in the Seafarers’ Missions and Centres ashore. Please take a few minutes to share your thoughts, as this really can make a difference.